Scene of a fatal accident on FM 2061 in McAllen on Saturday, Sept. 9. McALLEN — A Pharr man was killed here early this morning after his pickup truck crashed into a concrete fence. Raul Esqueda Jr., 38, sustained “major injuries” in the accident and was pronounced dead at the scene, according to a Texas Department of Public Safety press release. DPS investigators are now investigating the crash, which occurred at approximately 1:44 a.m. on FM 2061, or Jackson Road located south of Whalen in McAllen. 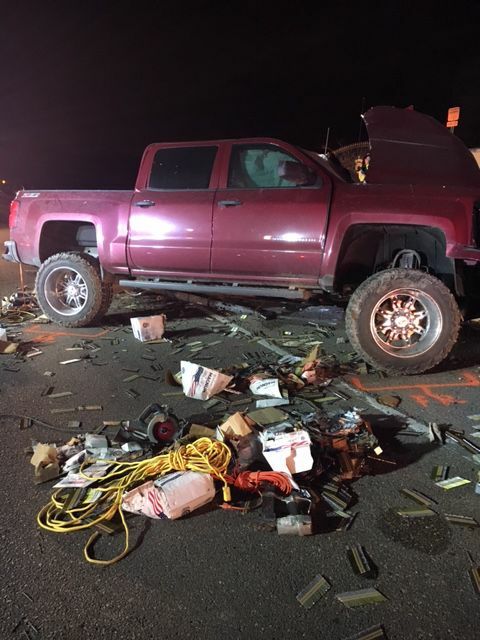 This is in the vicinity of where Esqueda was driving, traveling southbound in a 2014 Chevrolet Silverado before veering left and crossing the northbound lanes “for unknown reasons,” the release stated. “(The) driver continued traveling southbound, where it finally came to a stop,” the release read.